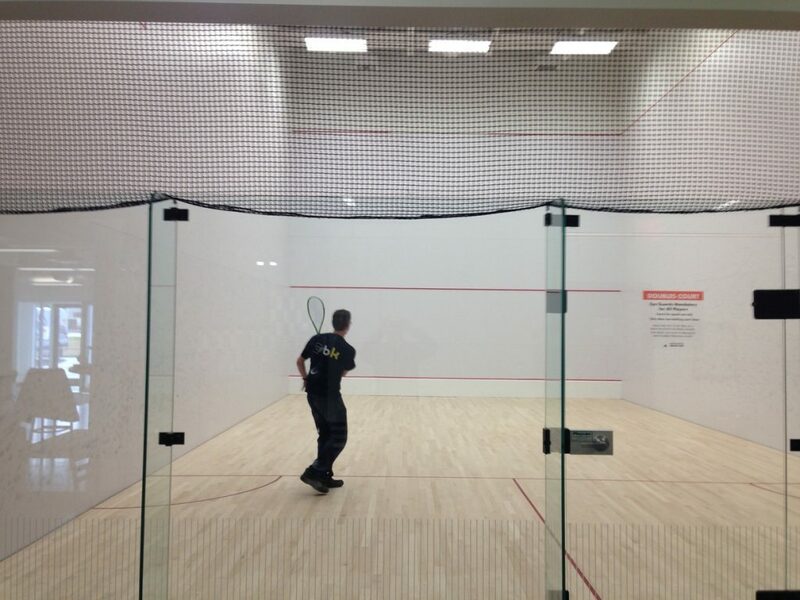 Facilities - EdmontonSquashClub out of Kitchener, Ontario, these courts feature panelled walls with a full glass back. Tucked in the back corner of the club is a North American hardball doubles court with a 26-foot ceiling. When doubles games aren't running, it also is a great space for fitness bootcamps and Yoga classes. 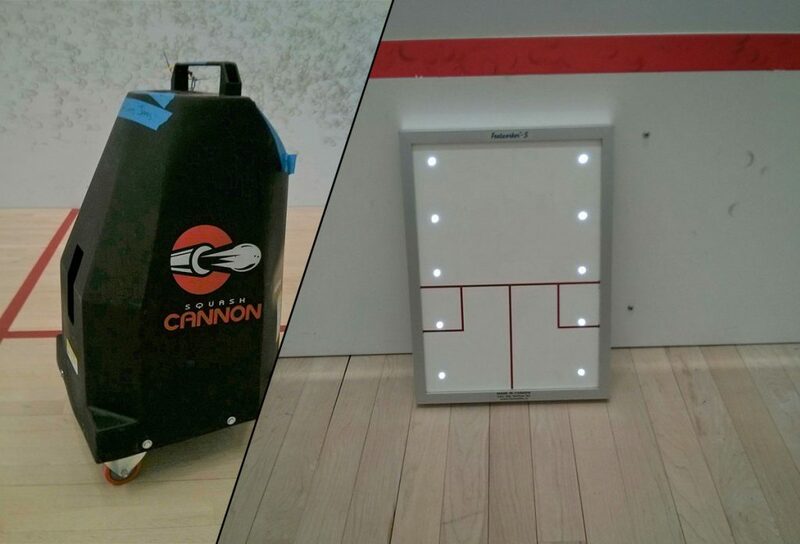 Court 4 has the world's only 5-camera squash PlaySight system, with camera angles from behind, left-hand wall, right-hand wall, above, and in front automatically uploaded to the cloud for you after a session. 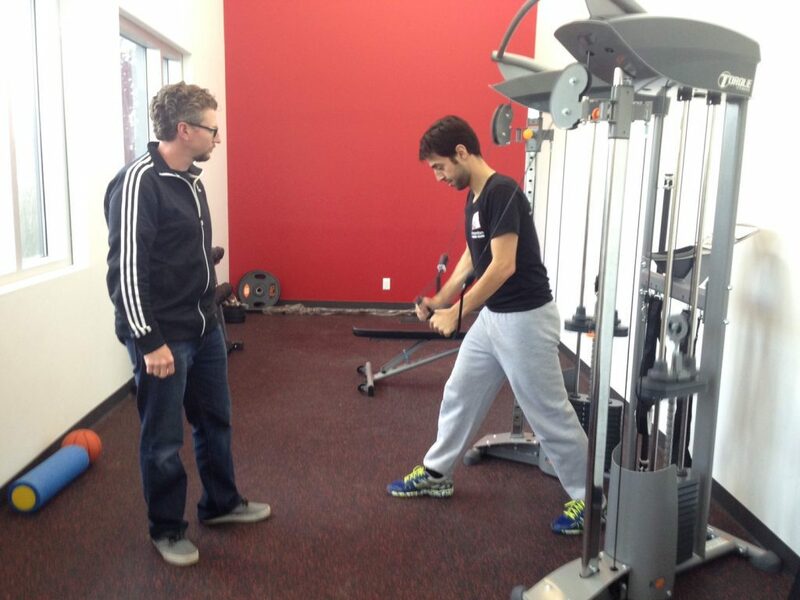 Coaches can record their tips and tricks directly onto your matches and practice sessions so you know what to work on. 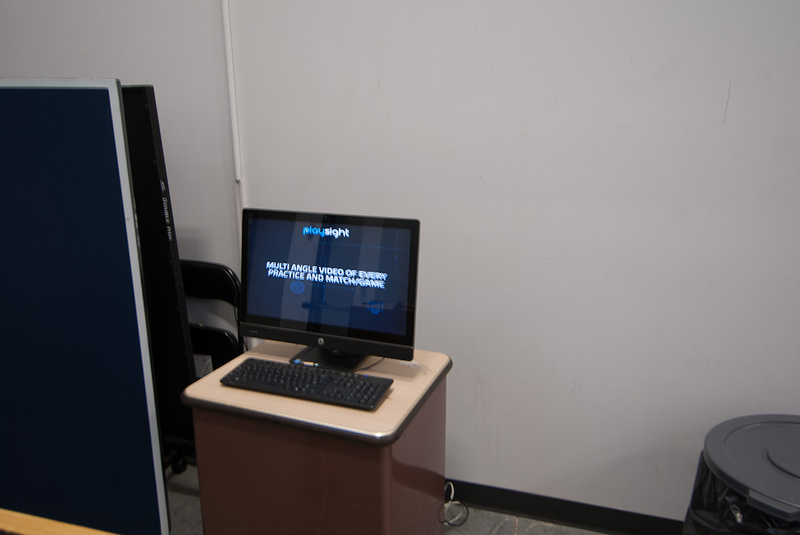 Use of the system is included in your membership or drop-in fee. Our fitness room has an elliptical room (facing a TV), a multi-purpose weight machine, a full set of dumbells and a squat rack with a barbell and 300 lbs of plates. 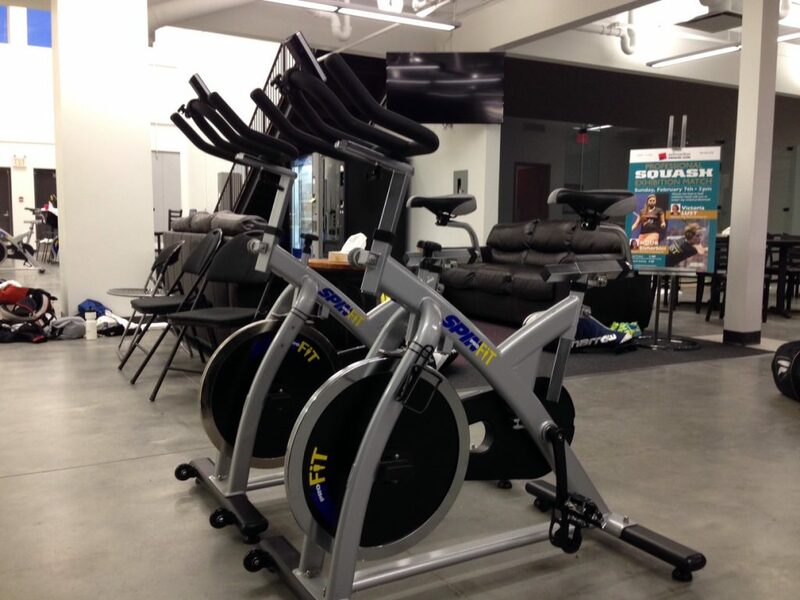 There are 5 spin-bikes located behind the singles courts to warm-up on or do a full workout. Our front desk is open from 4 - 10 PM weekdays and 10 AM - 4 PM on weekends. 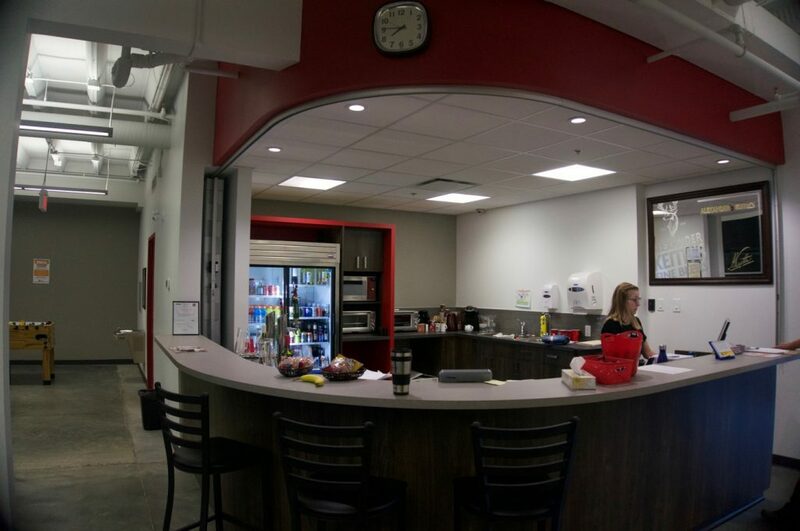 Drop off racquets for restringing, book courts or lessons, order some hot food or a cold drink, or just hang out and chat. We're always looking to help enhance your experience at the club, so let us know how we're doing. 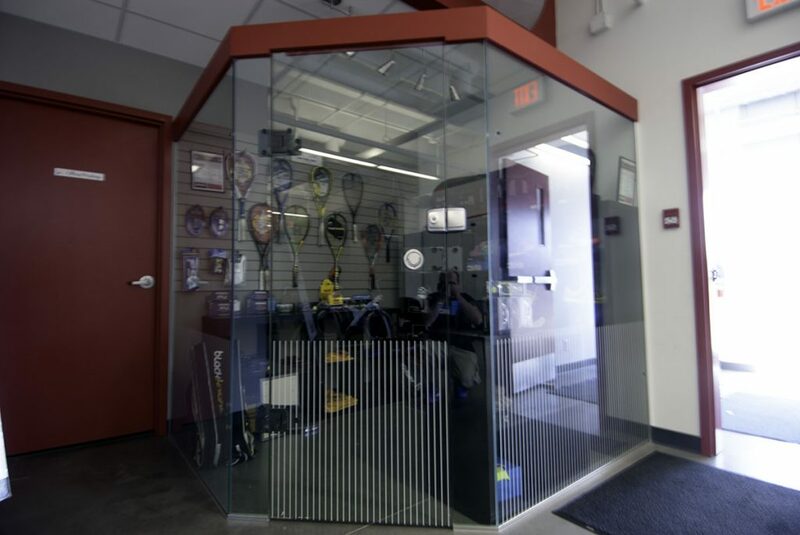 We carry an array of squash racquets, court shoes, squash goggles, squash balls, grip tape, wrist bands, t-shirts and other squash gear in our Pro-Shop. If you want something we don't have, then let us know and we'll do our best to get it for you. We provide sweat towels by the squash courts for your convenience, and bath towels in the changerooms. There is a steam room in both the Men's and Women's change rooms to help you to relax and soothe your muscles. 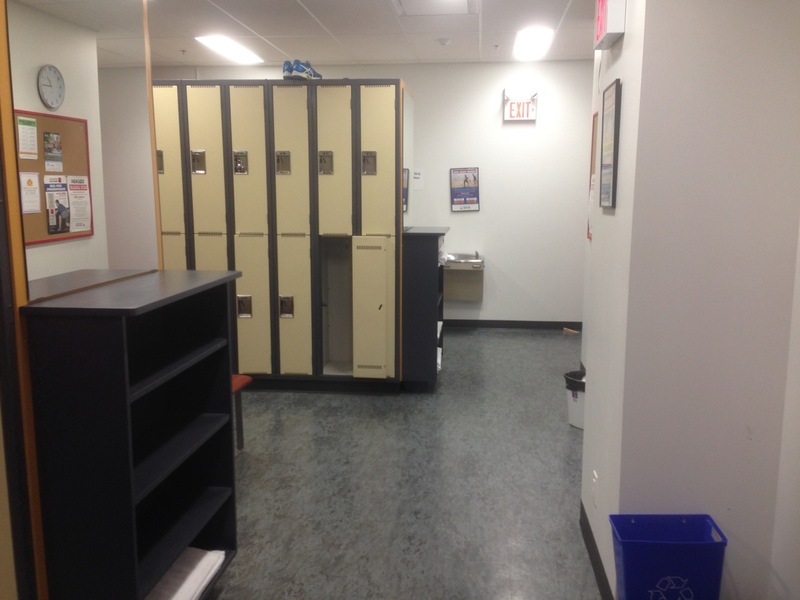 Day lockers are always available, and dedicated lockers are available for rent on an annual basis. 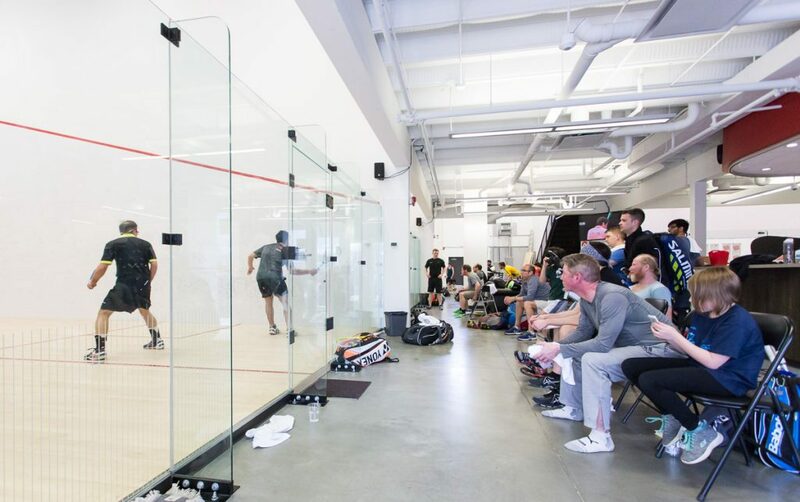 The Edmonton Squash Club has a private “meeting room” located upstairs, with a large boardroom table and 8 chairs. 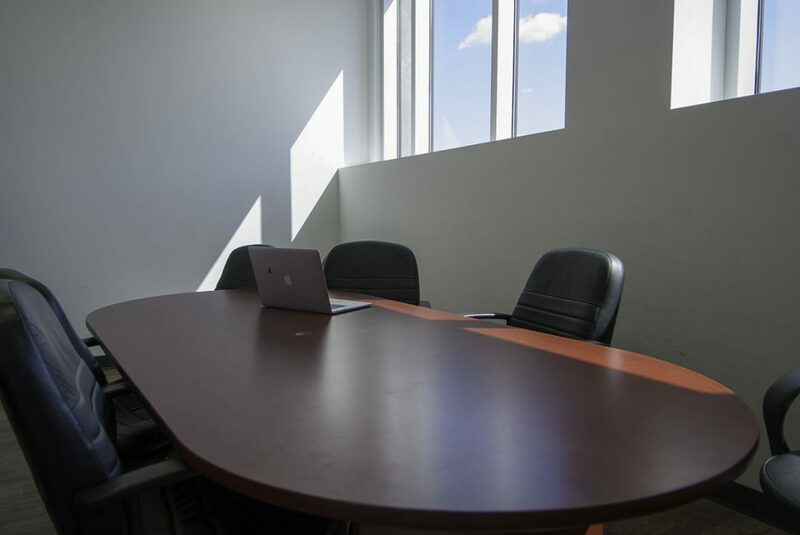 This room is typically used for board meetings once or twice/month and for staff work, but is available to members on an ad-hoc or scheduled basis. Children have been known to play there too on occasion. 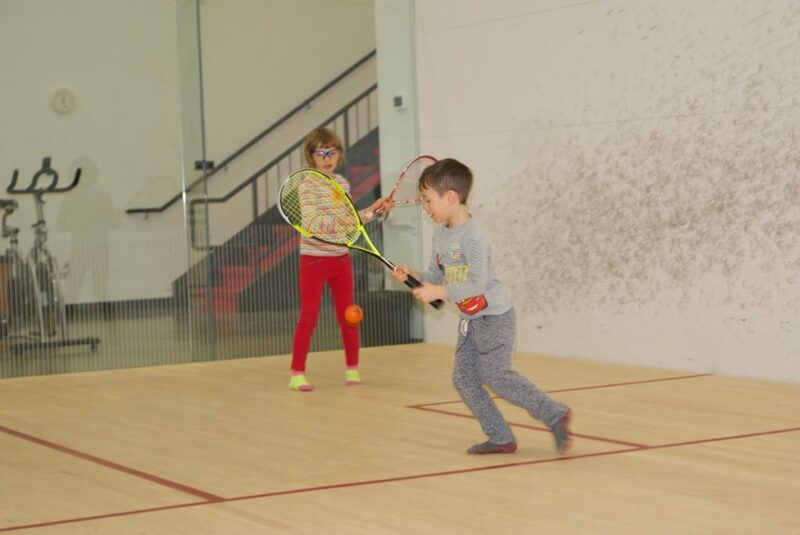 Although there is no official childcare at the Squash Club, we have a very relaxed policy towards children. So long as they are reasonably responsible, children are welcome to entertain themselves with Ping Pong, tetherball, toys, drawing and craft kits while you play. A free child membership is included with adult memberships of any level. 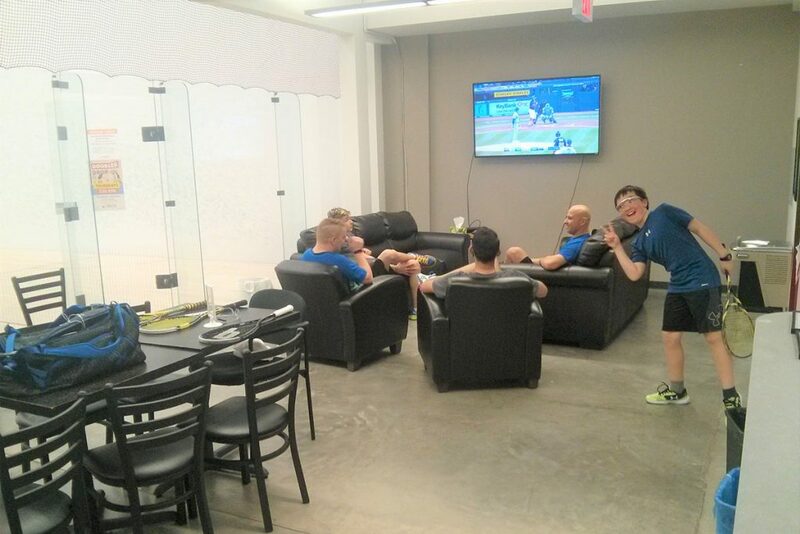 a beverage and enjoy some social time while watching live squash or some other event on the TV.